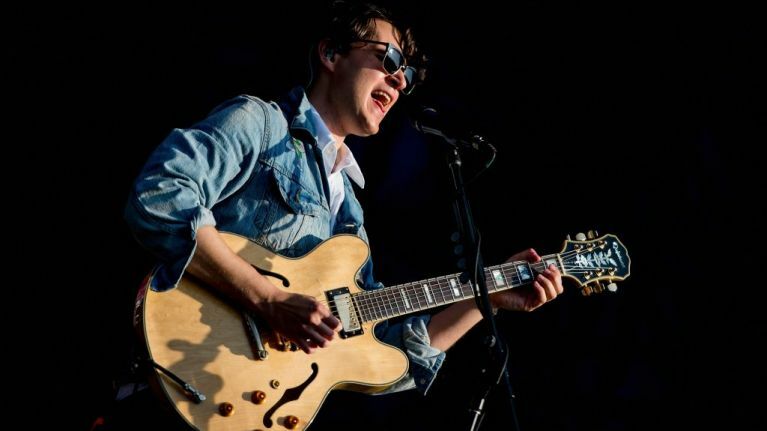 The long-awaited fourth album from Vampire Weekend is on the way. According to GQ, the follow-up to 2013's Modern Vampires in the City will arrive in 2019. Fans will be able to learn more about the release, as well as be privy to how a few older songs were made, when the band's frontman Ezra Koenig sits down at GQ LIVE on December 8th at Neuehouse Hollywood, Los Angeles to discuss the upcoming record. Having previously confirmed that the album was completed and being mastered, Koenig even played some of the new songs to fans directly from his phone, plugging it into an aux cord and playing several new tracks over the PA at a Lollapalooza Aftershow at the Metro in Chicago. General first impressions of the new music, according to fans present at the Metro, is its: "springy", "poppy", and "light". "There are deftly wielded forces of darkness and light at work on Vampire Weekend's third record. Elegiac, alive with ideas and co-produced by Ariel Rechtshaid, Modern Vampires of the City moves beyond the grabby, backpacking indie of its predecessors. In fact, whether through the hiccuping, distorted storm of "Diane Young" or "Unbelievers" - a sprinting guitar-pop jewel about the notion of afterlife - this is nothing less than the sound of a band making a huge but sure-footed creative leap." We'll have to wait and see if their yet-to-be-titled fourth album will sound anything like their last, but at least we know it's on the way.